If you find your living space needs a little pick-me-up or refreshing, we suggest adding a few personalized throw pillows to brighten your room. From adding one special pillow to your favorite chair to a whole parade of pillows to your bed, you’re sure to find a DIY pillow that fits your style with one of our favorite decorative pillow tutorials from around the web! 1. Learn how to make a simple pillow from The Handmade Home. 2. 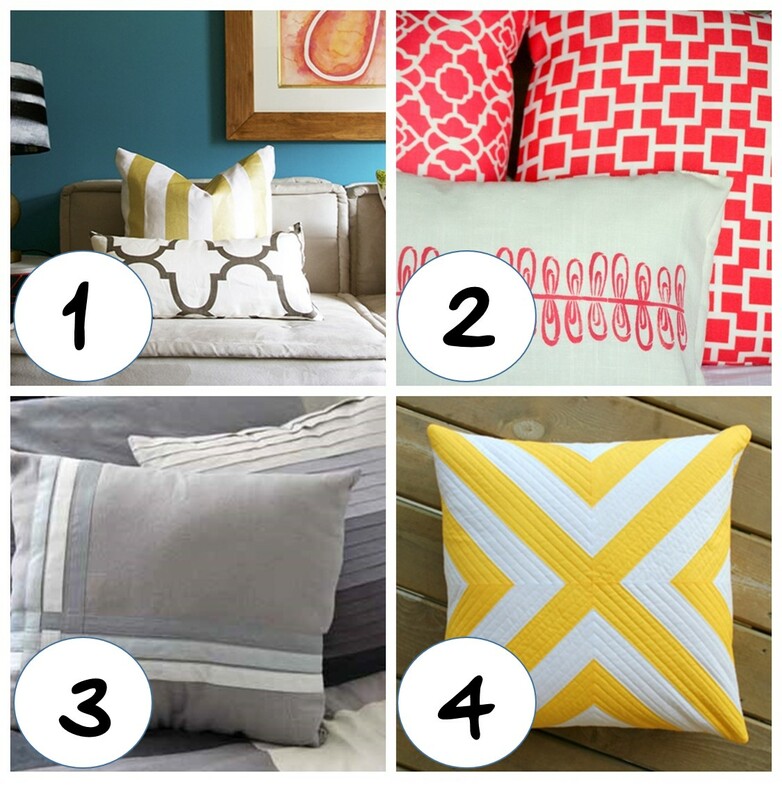 See how Lina hand-stenciled a pillow to match her décor at her blog, Fancy Frugal Life. 3. Use any color combination to make this simple geometric pillow with Vanessa’s Bias Tape Throw Pillow tutorial. 4. Start with any striped fabric and use Megan’s Geometric Pillow tutorial to end up with a striking criss-cross design. 5. 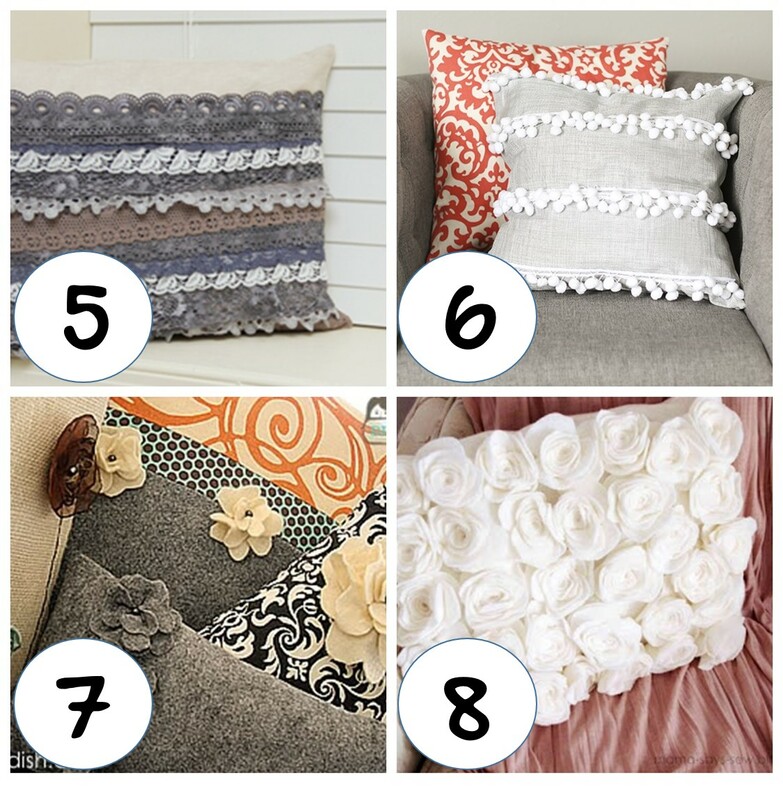 Add decorative trims and laces to customize a pillow with Jessica’s tutorial, How To Make a Shades of Lace Pillow. 6. I Heart Nap Time shares this tutorial for a DIY Anthro Inspired Pillow with lots of funky trims. 7. Learn how to make a whole pile of pretty decorative pillows from The DIY Dish! 8. Learn how to make these pretty decorative roses, which you can then add to any plain old pillow, with this Flower Pillow tutorial from Mama Says. 9. Create these lovely Sprocket Pillows with the tutorial from Cluck Cluck Sew. 10. Use small scraps to stitch up a DIY Patchwork Pillow Case from Curious and Catcat’s tutorial. 11. Make a funky pieced patchwork pillow with Smartgirl’s Patchwork Pillow tutorial. 12. 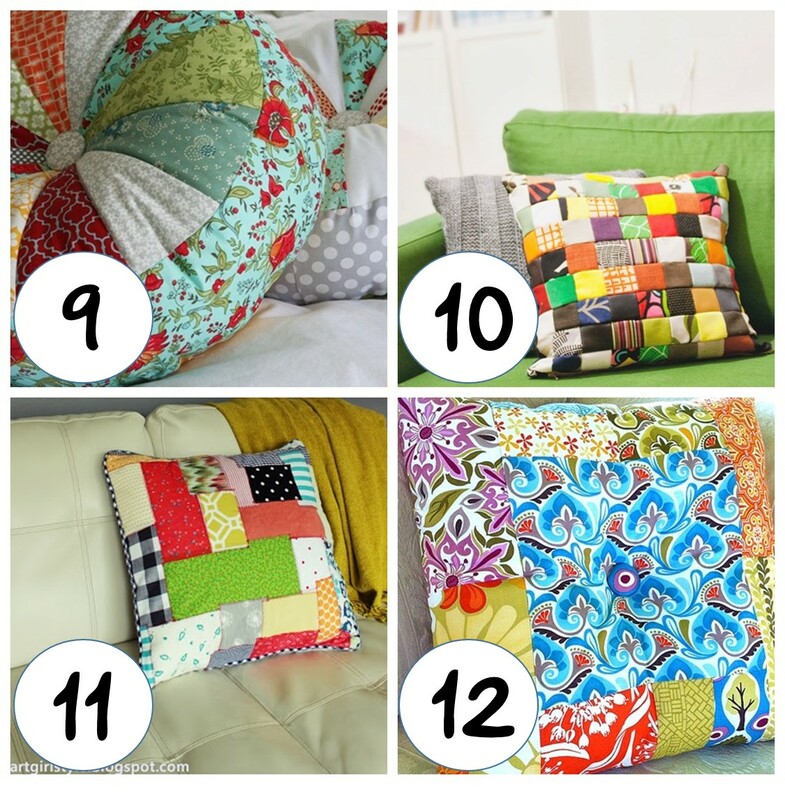 Use your favorite scraps to make bright and colorful pillows with an added button for trim, find the Patchwork Pillow tutorial at Sew4Home. Next Next post: Why Would I Want to Use a Jeans Foot?